The Shompen, one of the most isolated and poorly understood contemporary hunter–gatherer populations, inhabit Great Nicobar Island, the southernmost island of the Nicobar archipelago. Morphological imprints in the Shompen were interpreted to favour a mixed Indo-Chinese, Malay, Negrito and Dravidian origin. Analyses of the mitochondrial, Y-chromosomal and autosomal gene pool of contemporary Shompen have revealed low diversity, illustrating a founder effect in the island population. Mitochondrial sequence analyses revealed the presence of two haplogroups of R lineage: B5a, and a newly defined clade, R12. Y-chromosomal analyses demonstrated the occurrence of a single lineage found predominantly in Austro-Asiatic speakers across Asia. With the different types of genetic markers analysed, the Shompen exhibit varying levels of genetic relatedness with the Nicobarese, and Austro-Asiatic speakers of mainland India and Southeast Asia. 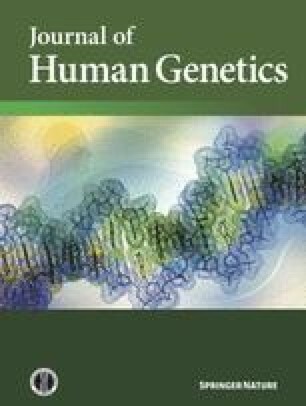 These genetic analyses provide evidence that the Shompen, an offshoot of the Nicobarese, are descendants of Mesolithic hunter–gatherers of Southeast Asian origin, deriving from at least two source populations. This work was supported by a research grant under the X Five Year Plan to CFSL, Kolkata, a CSIR fellowship to S.T. and DFS fellowships to J.B. and A.S.